As part of the NUTS! painting effort I have dragged out a long forgotten objective marker of a destroyed T-34. Apart from the obvious colour - some inspiration was needed about the finer details... 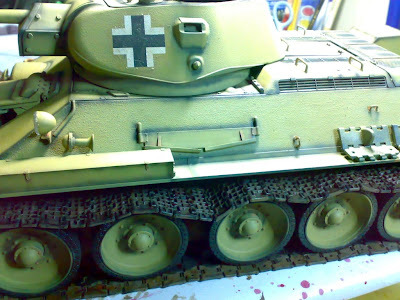 The marker is basically base coated and needs work on weathering in general - tracks specifically. Brilliant winter weathering, inlcudes some interior detail. Just fantastic. Green with envy even. 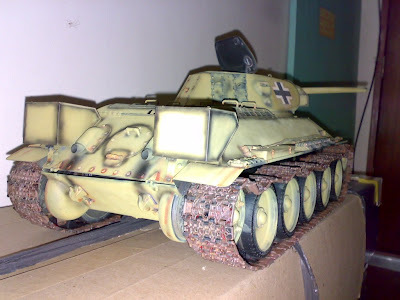 Some nice pictures of a 1/16 scale (!) 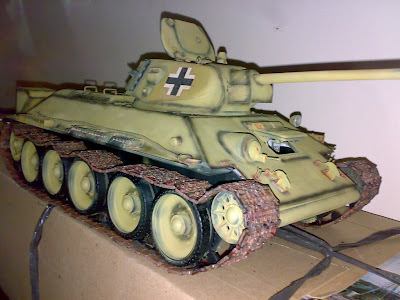 captured T-34 showing great detail on the tracks. Came from this post on the Scale Model site, which unfortunately needs a login to view.